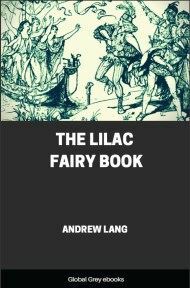 A collection of 35 fairy tales from Lang's Fairy book series. 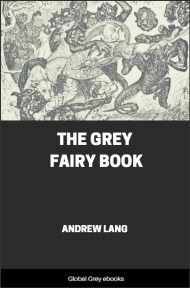 Stories include: Donkey Skin; The Goblin Pony; An Impossible Enchantment; The Story Of Dschemil And Dschemila; Janni And The Draken; The Story Of Bensurdatu; Fortunatus And His Purse; The Goat-Faced Girl; The Story Of The Queen Of The Flowery Isles; Udea And Her Seven Brothers; Mohammed With The Magic Finger; The Story Of The Three Sons Of Hali; The Daughter Of Buk Ettemsuch; The Sunchild; Laughing Eye And Weeping Eye, Or The Limping Fox; The Simpleton; A Fairy's Blunder, and more. There was once upon a time a king who was so much beloved by his subjects that he thought himself the happiest monarch in the whole world, and he had everything his heart could desire. His palace was filled with the rarest of curiosities, and his gardens with the sweetest flowers, while in the marble stalls of his stables stood a row of milk-white Arabs, with big brown eyes. Strangers who had heard of the marvels which the king had collected, and made long journeys to see them, were, however, surprised to find the most splendid stall of all occupied by a donkey, with particularly large and drooping ears. It was a very fine donkey; but still, as far as they could tell, nothing so very remarkable as to account for the care with which it was lodged; and they went away wondering, for they could not know that every night, when it was asleep, bushels of gold pieces tumbled out of its ears, which were picked up each morning by the attendants. 'Oh, do not speak to me of marrying,' sobbed the king; 'rather let me die with you!' But the queen only smiled faintly, and turned over on her pillow and died. For some months the king's grief was great; then gradually he began to forget a little, and, besides, his counsellors were always urging him to seek another wife. At first he refused to listen to them, but by-and-by he allowed himself to be persuaded to think of it, only stipulating that the bride should be more beautiful and attractive than the late queen, according to the promise he had made her. Overjoyed at having obtained what they wanted, the counsellors sent envoys far and wide to get portraits of all the most famous beauties of every country. The artists were very busy and did their best, but, alas! nobody could even pretend that any of the ladies could compare for a moment with the late queen. At length, one day, when he had turned away discouraged from a fresh collection of pictures, the king's eyes fell on his adopted daughter, who had lived in the palace since she was a baby, and he saw that, if a woman existed on the whole earth more lovely than the queen, this was she! 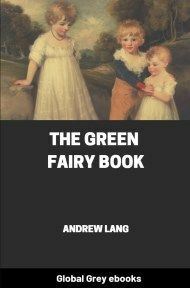 He at once made known what his wishes were, but the young girl, who was not at all ambitious, and had not the faintest desire to marry him, was filled with dismay, and begged for time to think about it. That night, when everyone was asleep, she started in a little car drawn by a big sheep, and went to consult her fairy godmother. 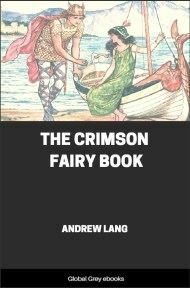 'I know what you have come to tell me,' said the fairy, when the maiden stepped out of the car; 'and if you don't wish to marry him, I will show you how to avoid it. Ask him to give you a dress that exactly matches the sky. It will be impossible for him to get one, so you will be quite safe.' 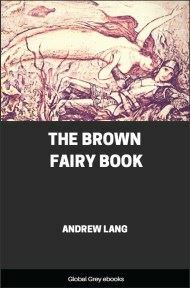 The girl thanked the fairy and returned home again. The next morning, when her father (as she had always called him) came to see her, she told him that she could give him no answer until he had presented her with a dress the colour of the sky. The king, overjoyed at this answer, sent for all the choicest weavers and dressmakers in the kingdom, and commanded them to make a robe the colour of the sky without an instant's delay, or he would cut off their heads at once. Dreadfully frightened at this threat, they all began to dye and cut and sew, and in two days they brought back the dress, which looked as if it had been cut straight out of the heavens! The poor girl was thunderstruck, and did not know what to do; so in the night she harnessed her sheep again, and went in search of her godmother. And the next day, when the king summoned her into his presence, the girl told him what she wanted. 'Madam, I can refuse you nothing,' said he; and he ordered the dress to be ready in twenty-four hours, or every man should be hanged. They set to work with all their might, and by dawn next day, the dress of moonbeams was laid across her bed. 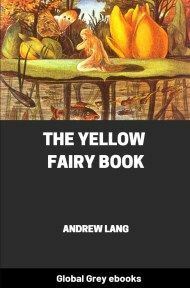 The girl, though she could not help admiring its beauty, began to cry, till the fairy, who heard her, came to her help.